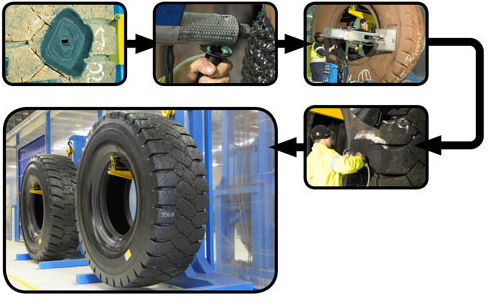 Evolutionary repair techniques utilizing leading edge technologies are continually refined and improved for the bottom line of your tyre operations. 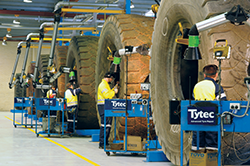 With the advances being made in repair technology, tyres that are still deemed "NWR" (Not Worth Repairing) can be repaired to recover your tread utilization factor. In past years sidewall damage on radials has meant scrapping the tyre. Now with advanced wire replacement, body cord repair is a run of the mill repair successfully returning more tyres to service. Advanced techniques are constantly under review to achieve incremental improvements, not re-inventing the wheel, just refining it continually.